It was a full house again today with one table filled with Rotaractors from Singapore Polytechnic and Nanyang Polytechnic. A presentation was given from each of the Rotaract clubs to inform everyone on their plans for 2012/2013. 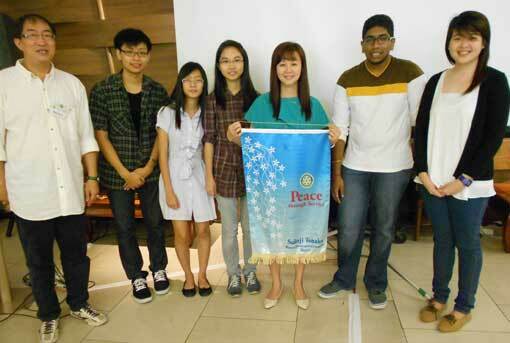 Here we see Rtn Clara Ho (service to New Generation) holding up the rotary banner in the midst of the Rotaractors. Rtn Michael Dietrich thanked all rotarians who made a generous contribution through the Happy Hour collections at Broitzeit last week toward his pet charity in Myanmar, The Myanmar Children's Charity, to maintain the level of childcare for orphans there. More than SGD2,000 was collected. 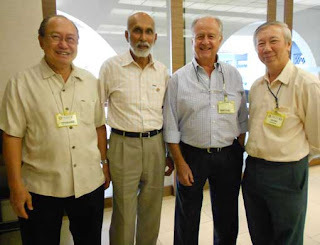 We also welcome visiting rotarians from Rotary Club of Bugis Junction. 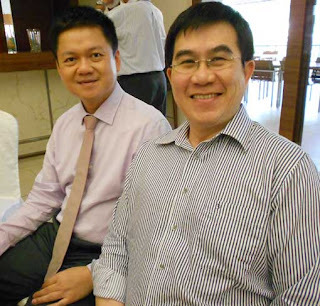 Rtn Roger Ng and Rtn Ben. Last but not least; old friends never forget. Friendship is like wine; it gets better as it gets older. Rotary Club of Queenstown, Singapore welcome with open arms a fellow rotarian from years gone by; Rotarian T V Srinivasan who paid a visit to the club. 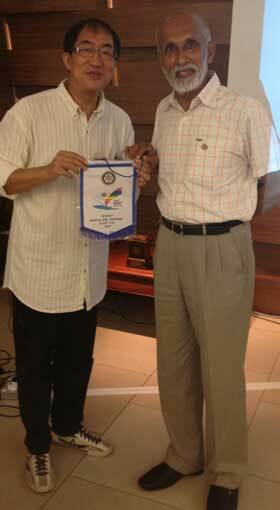 Exchange of banners between President To Chee Kan; Rotary Club of Queenstown, Singapore and Rtn T V Srinivasan; Rotary Club of Bangalore, Lakeside, RI District 3190, India.